Made partially from veneered wood with a headboard framed in iron slabs. 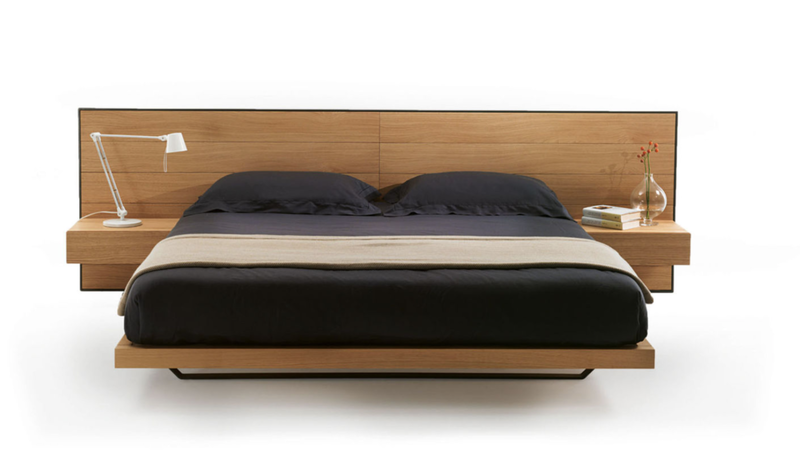 The bed frame is made completely of hardwood with the mattress resting directly on the frame. 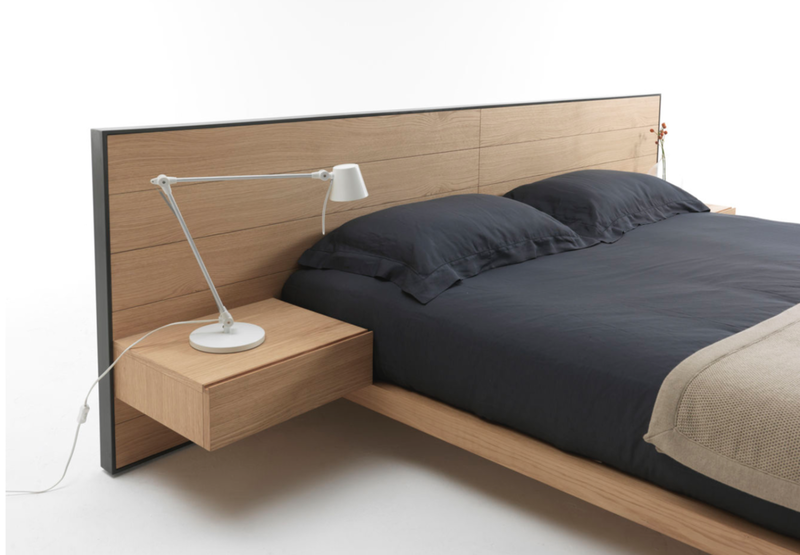 Available with or without integrated bedside tables. Finish: base of oil / natural wax of vegetable origin with pine extracts.